Camila is the love of Camilla's life. If Charles someday was in love with someone else may have been Camilla (I'm not saying he's in love with her even nowadays and someday longed marry her, wanted lost his position for her et al). He was raised have real relationships with mistresses (things as: friendship, trust, loyalty, respect, be his confident) and see material-wife as an womb, someone else who would give him an heir & spare and who should feels honored he picked for be his wife (read: broodmare) and must put on with his mistress and be grateful to him for have been picked by him for have a convenience marriage. He's Edwardian creature, through and through. Now with William and Catherine out of the frame for a while as they concentrate on baby George, the focus is firmly on Charles and Camilla. And it's my belief they are both rather enjoying being centre stage. It only shows as Charles always was one who longed for spotlight... he tried all this years put the negative spin on Diana for disguise their (Charles & Camilla) jealousy of hers (Diana), because they wanted her fame and level of attention she had. Charles himself choiced since early 1980s made separated engagements because he do not liked/ENJOYED be in supporting role. And Camilla for all of this years of "I dislike the life public" spin, pretty much enjoys be on the focus - still better when got rid of competition, after all the low profile of William, Kate & Harry is a PLUS to their egos. As she as Charles are the RIDICULE CREATURES, here. They're even more ridicule in all this years be slandering an dead woman for cover-up the true persons THEY ARE. CHarles needs counseling since to be in the spotlight his parents are getting on and cuttng back. And it suits Charles to have William and Kate disappear being "normal" and Harry not pushed to do royal duties. Charles is not a well man, he should be proud of his own children and want them to work since they are the future of the monarchy rather than have them disappear. I think for all ntents and purposes Camilla's great love is still APB. Don't give a toss what either of them feel/think/care about. he should be proud of his own children and want them to work since they are the future of the monarchy rather than have them disappear. I think for all ntents and purposes Camilla's great love is still APB. Sandy, The trouble with this is, it would cause trouble with his ego... if 3 of them are out & about, Charles again would disappear of headlines/be in the supporting role.
" IMO this so clear since 1990s, he indeed help through his official (& non-official - Camilla-gate) version ... well what expect of man who said "your biggest achiviement is LOVE ME". iF Queen & Philip had, the minimum of, common sense they would have Charles in a psychiatrist DECADES AGO - IMO"
The BRF believe in homeopathy and pulling one's self up by one's bootstraps. They are not touchy feely, nor are they into emotional conversations, they have not been brought up to be that way. Philip called his son Charles "precious and spoilt" .. I think that is how most of them view him. Since when has any member of the BRF ever pulled themselves up by their bootstraps? Homeopathy is an intriguing medical treatment, but not something that should be a substitute for practical operations. Improving a situation by one's own efforts. Don't they have people for that?
. ask poor Bertie where he got his stammer, and how sympathetic his parents were to him when they found out. By living with an overbearing brute of a father. The whole..."I was afraid of my father...etc, etc." bit by King Edward. Bertie had an amazing support system in his wife, Doctor and others who encouraged him to overcome his impediment instead of barreling down and chastising him like it was his fault (a way to instill low self esteem). Most people who stutter are very intelligent. Winston Churchill. Thomas Jefferson. James Earl Jones (Darth Vader) and others. It's the German Royalty in them. "your biggest achiviement is LOVE ME". Well...if that isn't a narcissistic thing to say. Psycho... The psychologist would certainly be kept busy hearing all the drama. I read somewhere that the reason that William and Harry tolerated Charles relationship with Camilla is because Charles virtually went into meltdown and Camilla was the only one who could deal with him. That would make sense to me as I have never bought into the spin that William and Harry get on well with Camilla. How could they when she caused their mother so much pain? After losing their mother and then seeing their father cracking up perhaps they thought that Camilla was damage limitation. What will happen if Charles predeceases Camilla is another matter. I think if Charles drops first, Camilla will have to retreat to Raymill and pray that William doesn't completely strip her of everything she has gained from her marriage to Charles. .. okay I am going to say this.. you can believe it or not. 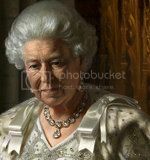 She will get what Charles leaves her in his will and that is all.. no more royal functions.. she will be as Wallis S was. I totally agree with you Tatiana. That has always been my feeling. I hope she has her bags packed just in case. I can't see Willy or Harry giving her much time to get out. She will move to Raymill. She may get Fawcett as her butler in the settlement from Chuck. And APB will perhaps move back in. She will get some jewelry in the settlement. I don't think William and harry would tolerate her at court unless there is some memorial for their father.